Let us be floral and fancy free! The Audrey’s are oversized of course and finished with the sweetest row of blooms! Keep away from salt water and sun cream, if you can Vixens! Store in Sunglasses pouch/box - we don't want you losing them! Love the look? 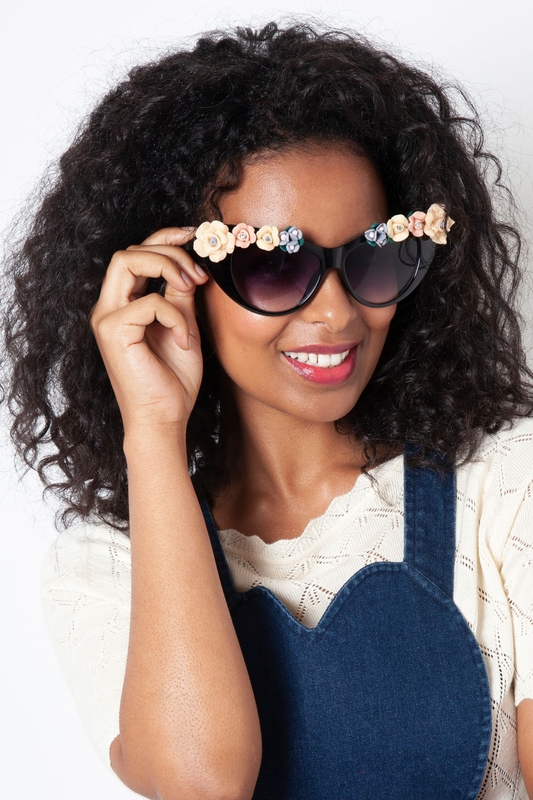 Check out the Flora Black & Gold Decorative Sunglasses!